Office Design Department to remove some shortcomings in De Wilde s design. However, such small projectiles are barely able to contain enough chemicals to make the effort worthwhile. The heavy machine gun is really the smallest calibre in which incendiary shells are common, with HE shells being more common in cannon (20 + mm) calibres. During the Second World War, it was discovered that adding aluminium dust to HE compounds not only improved the strength of the explosion but also had an incendiary effect. In consequence, pure incendiary cannon shells became less common. Sectioned German WW2 aircraft gun cartridges (from left to right): 20 X SORB HEIT-SD for MG-FF, 20 X SORB HE (M-Geschoss) for MG-FFM, 20 X 82 HEIT-SD for MG 151120. 20 X 82 HE (M-Geschoss) for MG 151/20, 20 X 82 APIHE (base fuze) for MG 151/20. Note differences between mechanical (1 and 2) and chemical (3) fuzes. Cartridge 4 is a practice round with a dummy fuze. lining to form an elongated high-velocity jet whose tip can be travelling at 8,000-9,000 m/s, with considerable armour-piercing capability. This type of projectile is standard in modern infantry anti-tank weapons and is used in some larger cannon. 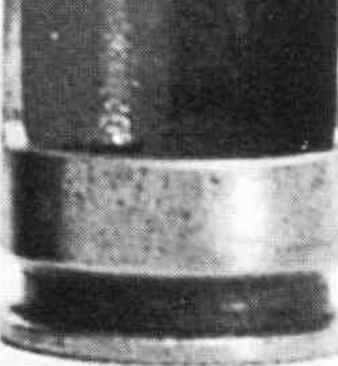 It was experimentally used in the Second World War in ammunition for German aircraft guns, but has not been generally used in smaller calibres because the effectiveness is largely determined by projectile diameter and is also lessened by being spun by barrel rifling. 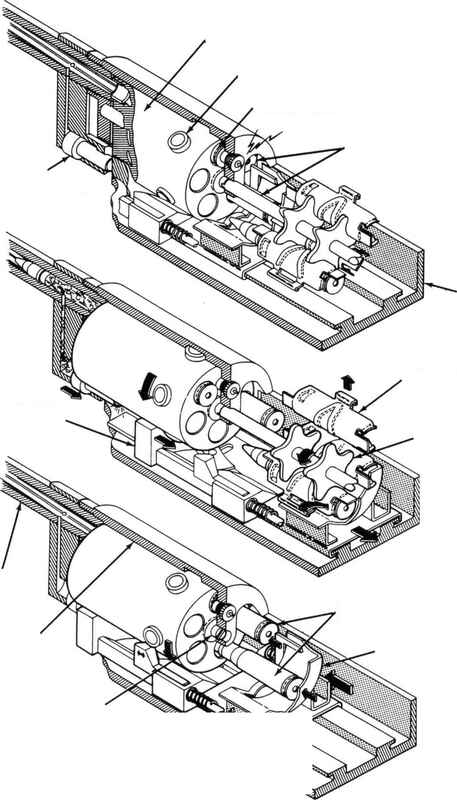 A rotation of only 150 revolutions per second is sufficient to reduce the penetration by 50%, yet a cannon shell will typically rotate at considerably more. 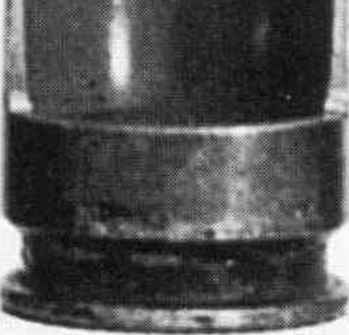 In larger calibres, such as the Obus (named after the inventor, Gessner) for the French 105mm tank gun, this problem has been reduced by mounting the shaped charge on ball bearings within the case, greatly reducing the spin imparted to the explosive section, but this is not feasible with small-calibre ammunition. It should be noted that military terminology is not always logical. All projectiles for the 20mm Hispano, including AP, were officially referred to as 'shells' by the RAF.